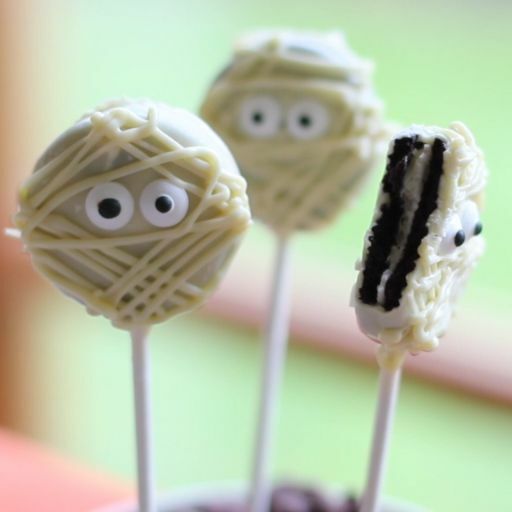 Preparing Halloween snacks is a great way for any household cook to explore his or her creative side. Only chefs at fancy restaurants usually have to make their dishes look presentable on a regular basis, but once a year on Halloween even us commoners get to play around with all sorts of neat decor to make our creations whimsical and visually pleasing. Sadly, due to potential allergens that might be found in the ingredients used, home-made food might not be always appropriate for school or office parties. After all, it’s not really convenient to put an ingredient label on each cookie before offering it with a co-worker or one of our kid’s classmates. That’s why more and more people look towards store-bought options when deciding on snacks for Halloween parties. There are two main ways to go about this: either get regular snacks and with a bit of handiwork and imagination decorate them to your heart’s content, or simply buy the special edition, novelty snacks which a lot of food manufacturers release around this time of year. Both approaches have their upsides and downsides, and the best Halloween snacks reviews don’t lean either way. Whatever you choose to do, you should keep the following things in mind when browsing through what’s available for sale. We have this misconception that store-bought snacks are somehow less healthy than regular meals. We tend to place them in the guilty pleasure category, just above junk food. This shouldn’t necessarily be the case. True, treats that are heavy in corn starch sweetener or artificial flavoring might not make for the healthiest things to snack on, but with a bit of agency and imagination you can easily avoid filling a Halloween treats plate with sugar bombs. Halloween food gets most of its appeal from the way it looks, not necessarily from how it tastes like. This makes it easier to get away with sneaking a few healthy snacks on the kid’s plate, which they will eat simply because of the novel way they look. You can intentionally make the less sugary snacks look cooler so they’ll elicit greater attraction if doing your own decoration. The same principle can also be applied when buying from the store, of course, and there are a lot of cool looking healthy snacks to choose from. As we’ve mentioned, adequately creepy looking food can give some leeway in other departments, but this shouldn’t be understood as a license to stop caring about how the treats taste like. After all, they are meant to be part of the entertainment of a Halloween party and no one outside the European elites actually likes things like vegetable sandwiches. Sugary treats must be present, together with spicy and fatty ones, all sorts of fruits, cheeses, and crackers, the wider the palette of options available to your guests, the more they’ll enjoy themselves. For small parties or any other sort of private gathering, people generally select food based on their own personal experience, from what they generally like to eat every day. This ensures that the guests won’t be treated to something that the host itself doesn’t find palatable. Halloween can make quality selection a little bit tougher, though, since many of the novelty snacks released this time of year haven’t been tried before by anybody. If personally trying out every snack beforehand will prove too costly or inconvenient, the next best thing to go by is your own confidence in the brand. Besides the brand, another thing to look at is the expiration date marker, more specifically whether it’s been stamped multiple times or just once. It might take a keen eye to notice when this happens, but some retail stores are in the practice of superimposing a new expiration date over the one already provided by the manufacturer. If worse, the date only shows on a sticker, the product is best to be avoided. This is arguably the most important aspect to be conscious of when choosing treats for Halloween (besides food safety considerations of course). Child and adult alike, everyone gets disappointed if the snacks they get to munch on this time of year don’t look the part. Severed fingers cakes are always a classic and so are worm jelly beans and maggot Wiener sausages. Every piece of fruit floating in a glass gets to look like a brain and any piece of chocolate gets turned into a spider or bat. The sky’s really the limit of what you can achieve with the right ingredients, the right internet guides or sufficient imagination. The standard approach for DIY-ers seems to be painting a spooky face on everything: fruits, cup-cakes, chocolate bonbons, pancakes and much more. You can go about this with hot chocolate sauce for fruits and sweets or something more spicy for regular food. Any fruit that peels, as well as eggs and vegetables, can be carved out just like a pumpkin, giving it a bit of character with a scared or evil-looking face. There are two main styles of food decoration to ascribe to, a veridic one which aims, to make the food as realistic looking as possible, and a whimsical, cartoonish one, that works well for Halloween treats for school. DIY or straight out of the package? 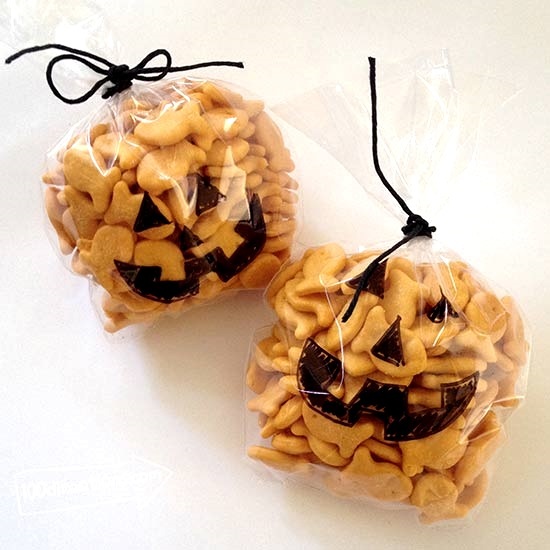 Buying Halloween themed snacks straight from the store is undoubtedly convenient since everything that’s left for you to do is putting them on a plate at the office party or your kid’s school party. The appearance of store-bought, however, can vary a lot depending on price from something barely recognizable as spooky to little pieces of visual art. Decide depending on your budget but always have in mind that both producers and retailers tend to inflate the prices of seasonal items. Making your own decorations can be lots of fun, but also time-consuming and requiring a minimum of skill. This is not the approach to take for those who only get scrambled eggs when trying to make an omelet.